When people think of visiting Canada's capital, a trip to the Parliament buildings and skating on the Rideau Canal are always at the top of the list. But there are many things to do in Ottawa that are exciting and unique that will easily make for an excellent vacation for couples and families alike. 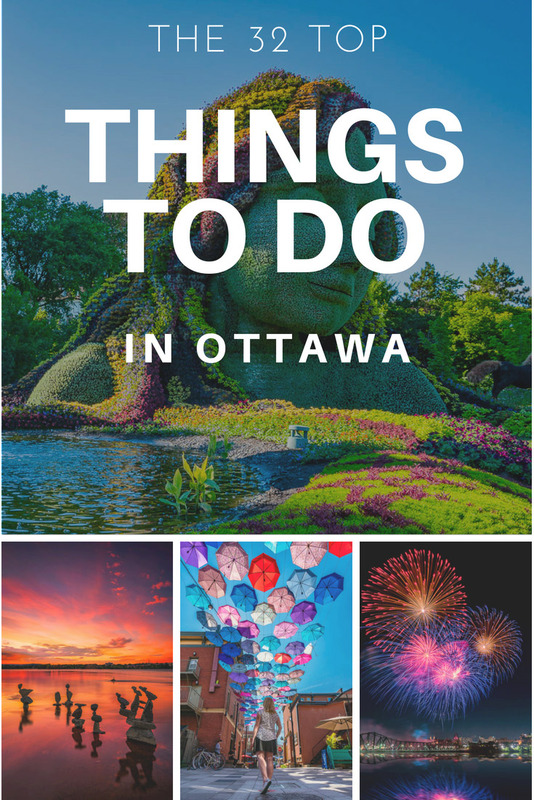 This comprehensive Ottawa travel guide will give you ideas for what sites to visit, what adventures to be had and where to stay and eat. Ottawa is quickly becoming one of Canada's coolest cities and here's why. Uber is affordable and an excellent way to get around the city. Note Uber and Lyft operate in Ottawa but not in Quebec, but if you go across the bridge to Gatineau in Quebec, they do not operate. They will drop you off, but you will have to take a taxi back. Taxis - We found taxis to be double the price in Ottawa and don't recommend taking them. Car Rental - For certain places in this list of things to do, a car rental is highly recommended. You only need to rent a car for a day or two of your trip to see everything on this list and then you can walk and uber it anywhere. Bike Rentals - Ottawa is a very bike friendly city with plenty of cycling trails and dedicated lanes. There are several rental companies in the city where you can rent a bike for an hour to a week. Walking - a lot of the major sites are easily accessible by walking. Gatineau - Even going over to Gatineau is a pleasant walk across the Alexandra Bridge - It takes about 20 minutes to walk from the Byward Market in Ottawa to the Gatineau Museum of History. The waterfront in Gatineau is worth exploring. It's one of the hottest sports on the water right now. Everyone wants to stand up paddleboard. 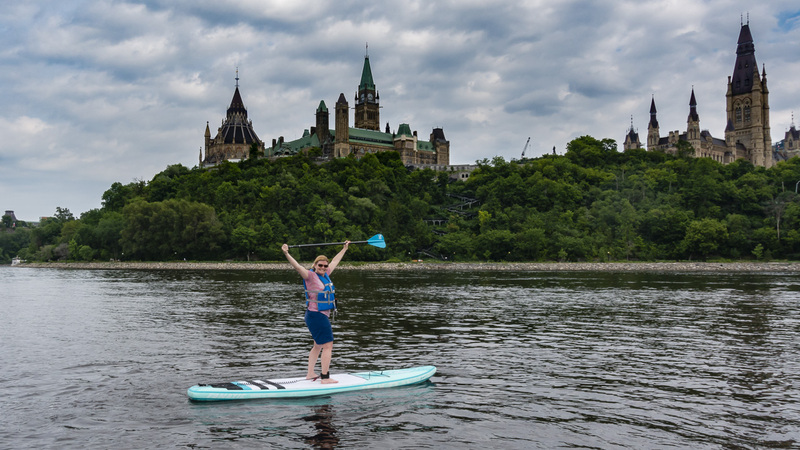 Imagine paddleboarding the Gatineau River looking up at the stunning parliament buildings of Ottawa. Harmony of Urban Ocean Ottawa opened the first SUP Centre in Eastern Ontario and now offers certification, instruction, tours and SUP yoga! It is one of the most unique and fun things to do in Ottawa and that's why we put it right at the top. 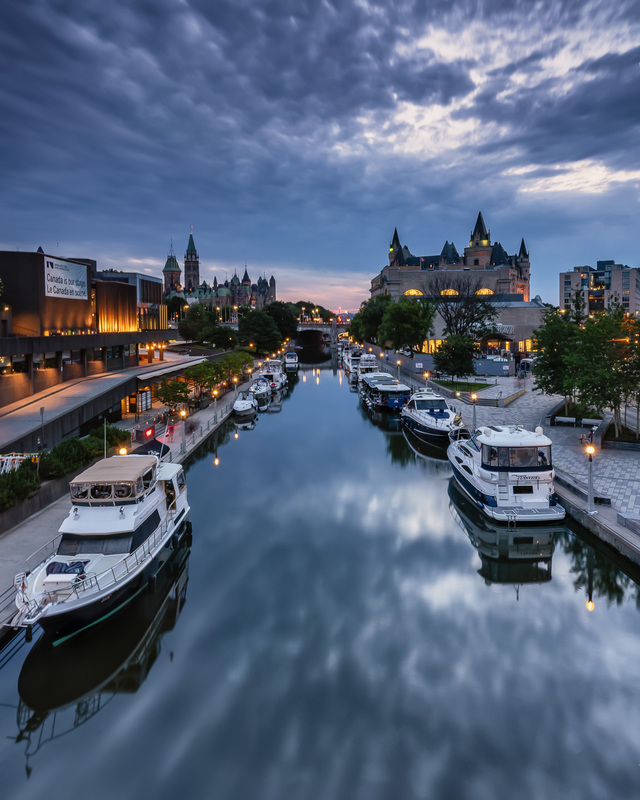 You'll come away with a tour that takes you from the yacht club to the Rideau Canal Locks, Parliament Buildings, Supreme Court of Canada and out to the centre of the river for a panoramic view of Ottawa and Gatineau. No experience is required, once you get your balance, you'll be guided along the river to explore the sites. For more information and to book a tour visit the Urban Ocean Website. I didn't realize that you could fly in a genuine World War II Biplane but at the Canada Air and Space Museum, regular flights take place during summer hours. It was one of the highlights of several trips to Ottawa. 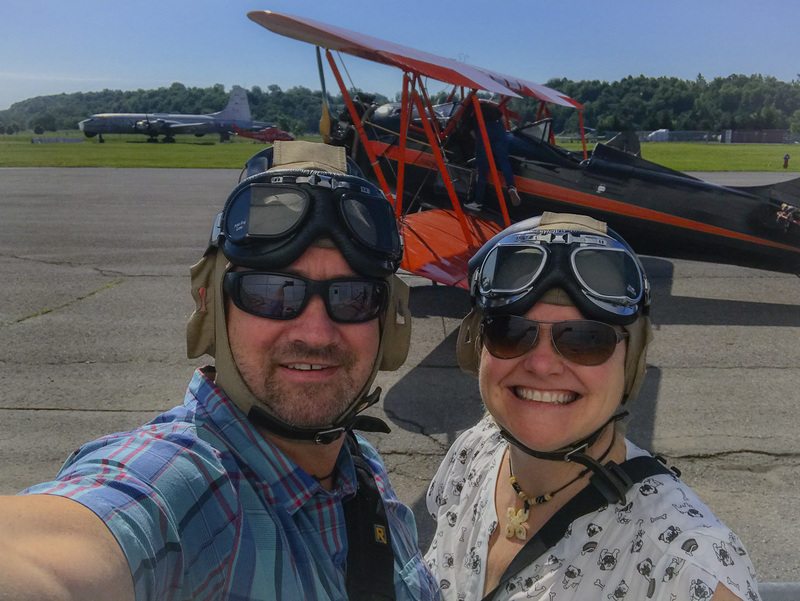 Dave and I have done other biplane flights, but what we loved about this one is how we had the chance to do it together. 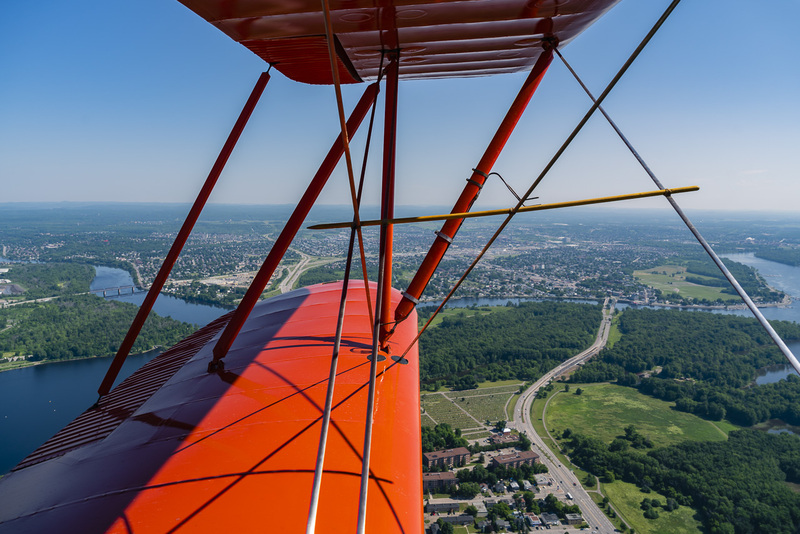 We boarded a Waco UPF-7 open-cockpit biplane circa 1939 and sat side by side during the 25-minute flight showcasing the Gatineau Hills and Downtown Ottawa, including a pass over the Parliament Buildings. Our pilot even did a few maneuvers over Gatineau before turning back towards the airstrip. It was a hoot! Tours start at $65. Our tour of both Gatineau and Ottawa was $145. For more details visit the Aviation and Space Museum Website. I know this article is supposed to be about Things to do in Ottawa, but Ottawa and Gatineau go hand in hand. Gatineau is a city in Quebec, located just across the river from Ottawa, Ontario. There are bridges, aqua taxis and ferries connecting the two cities and they complement each other beautifully. Gatineau houses amazing hiking trails, nightlife, and museums. But it's the outdoors we love best. When you are in Ottawa, you must go out to Gatineau Park. 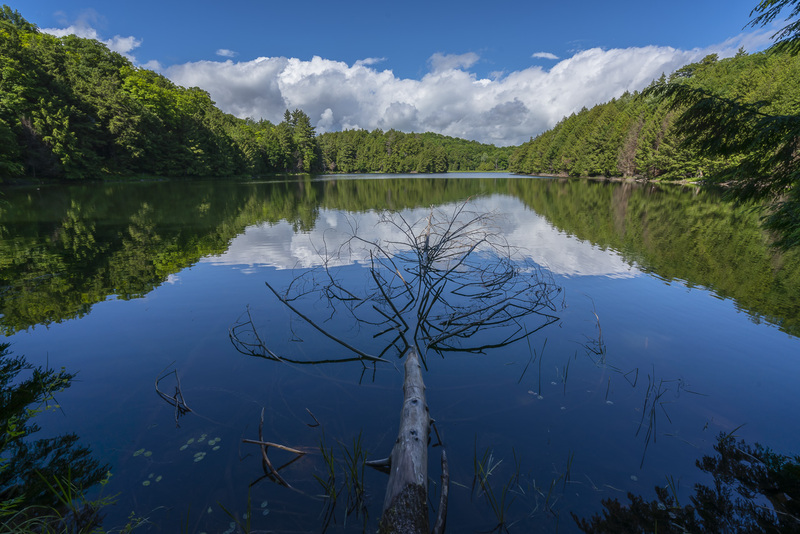 Gatineau Park is a 365 square km (139 sq mi) conservation park filled with walking trails. One entrance is just a mere 4 km from Downtown Ottawa. Gatineau has 165 km of hiking trails and 90 km for mountain biking. We saw a lot of road cyclists when visiting the park as well. You can see the William Lyon Mackenzie Estate a 231 hectare (acre) estate of Canada's 10 Prime Minister. There are beaches, canoeing and camping. 4. 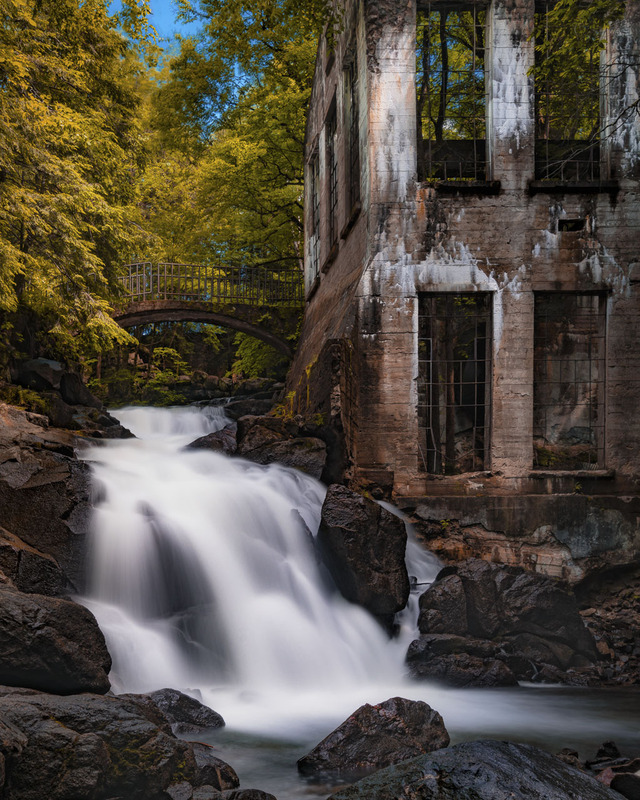 We hiked to the beautiful Carbide Wilson Ruins. 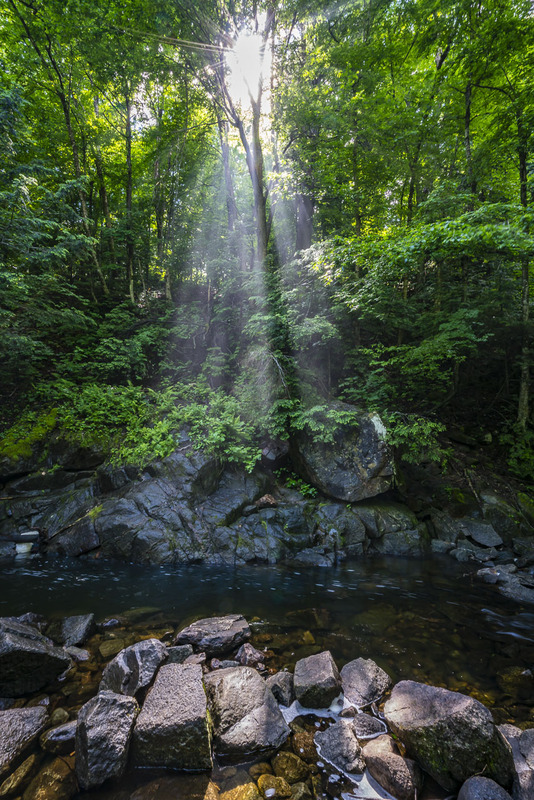 This 30-minute hike is an easy trail to find and is a picturesque walk through the forest and along lakes. It ends at the laboratory and summer residence of inventor Thomas Wilson who invented the industrial chemical calcium carbide. Afraid that people would steal his other ideas, he built an estate and damn in the middle of the forest where he could work in private. The house and damn still stand and are in a beautiful setting and is one of the best Instagram spots in the Ottawa Region. 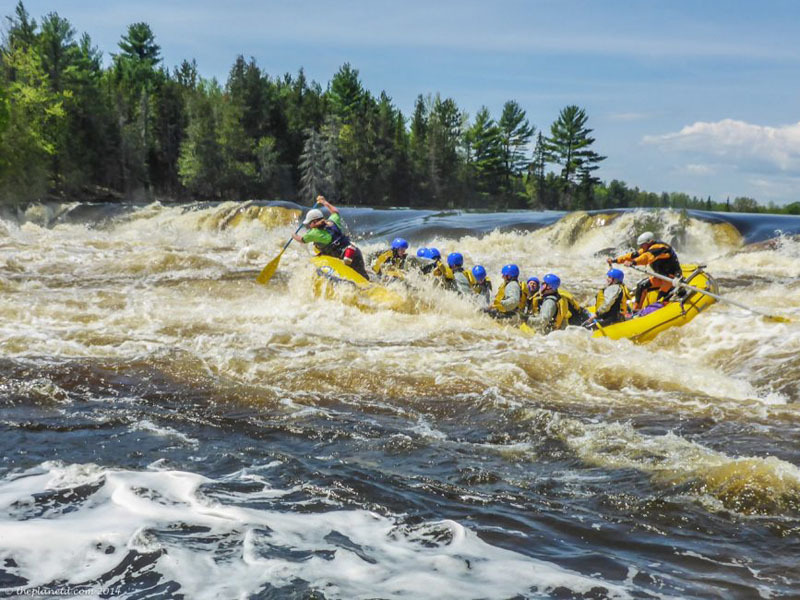 The Ottawa River is considered to have some of the best whitewater rafting on earth. It attracts professional rafters and kayakers to run its class 5 rapids. Located just one hour outside downtown Ottawa, there are three rafting companies that will take people on the rafting excursions of your choice. If you are a family, there are even smaller rapid trips to suit everyone. We went with OWL Rafting and stayed over at their all-inclusive resort where we enjoyed two days of rafting. Day one was on the large group raft where we all worked together as our guide used two giant paddles to navigate the giant rapids known as The Staircase. For first time rafters, the large raft is the way to go as you feel secure being on the bigger boat and being able to hold on while your guide does a lot of the work. Day two we boarded the sportraft where only 4 people helped the guide navigate the big water on a small raft. It was exhilarating and fun and if you have the time, we highly suggest two days on the river because by day two you are ready for more! 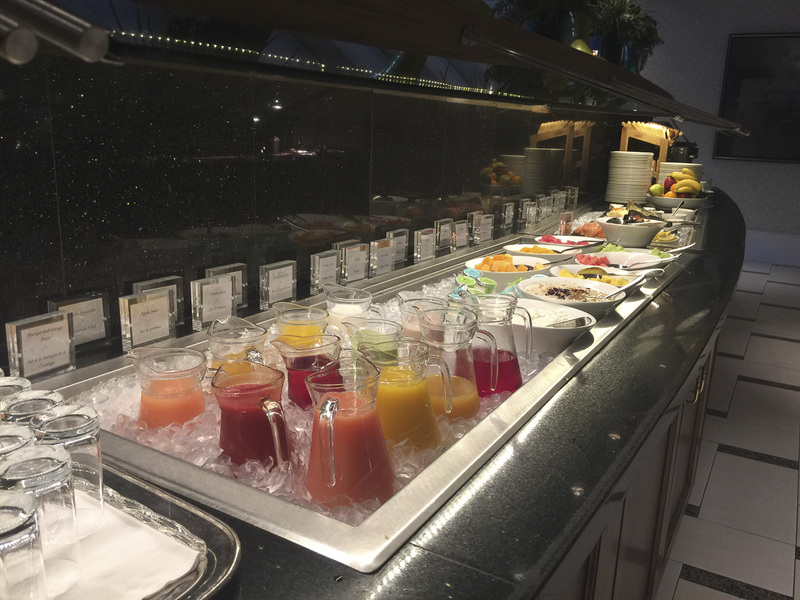 The resorts are rustic and relaxing with breakfast, lunch and dinner buffets included. It's cliche and everyone says to see the Parliament buildings, but Canada really does have beautiful government buildings. You could simply walk around the grounds of the Parliament and take in the views of the river below, but a tour is highly recommended. Tours are free and last approximately 45 minutes. You will have to go through a security screening- Just like at the airport. Only one small bag is allowed. No video is allowed and you can bring a bottle of water. Tours happen in the center and east block and are free. Tickets are available at 90 Wellington Street directly across from Parliament Hill. 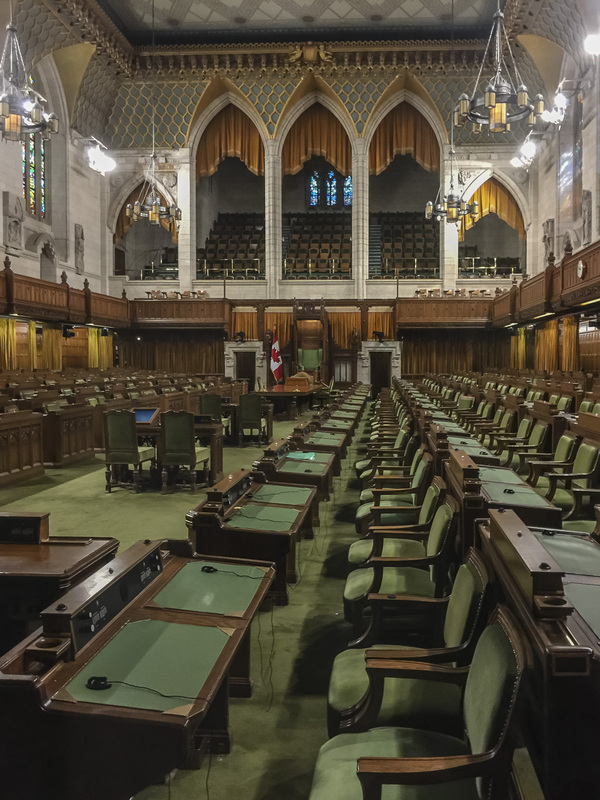 Tours vary depending on what activity is taking place in Parliament but that day we saw the House of Commons where Question Period takes place and a few of the great halls. It was very cool to see the paintings of past Prime Ministers and our first female house of Parliament. If you want to be in the audience for Question Period, you can reserve tickets. Here is where all the Canadian Government magic happens, and you just may witness a very polite argument from opposing parties. 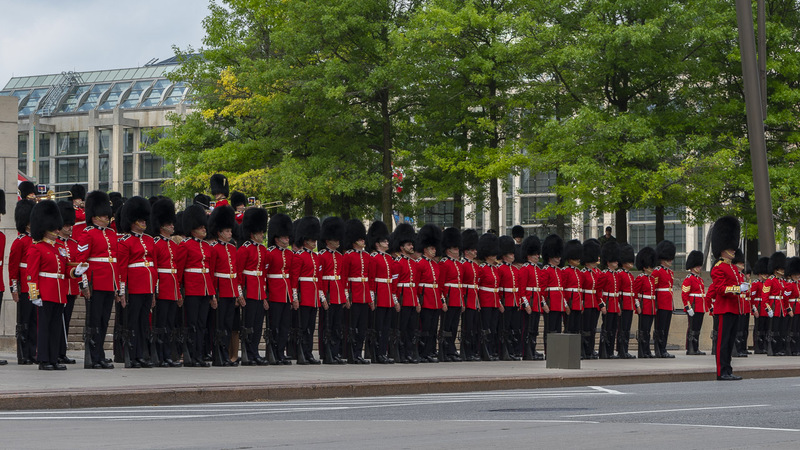 Canada has its own changing of the guard just like England. You can catch two different ones in the city. Changing of the Guard happens daily at the WW1 Memorial. It's small but interesting with a piper and two guards changing their duties at the Tomb of the Unkown Soldier. 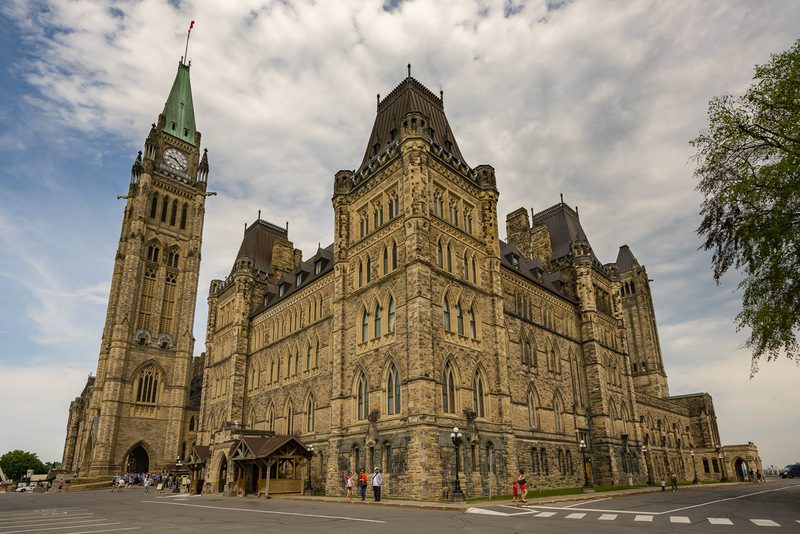 The large spectacle of parliament is a must where a lavish ceremony takes places each day at 9:50 am from June to August on the East Lawn of Parliament Hill. With a full marching band and dozens of members of the Canadian Armed Forces dressed in full red and black military garb. It is a tradition that is not to be missed! 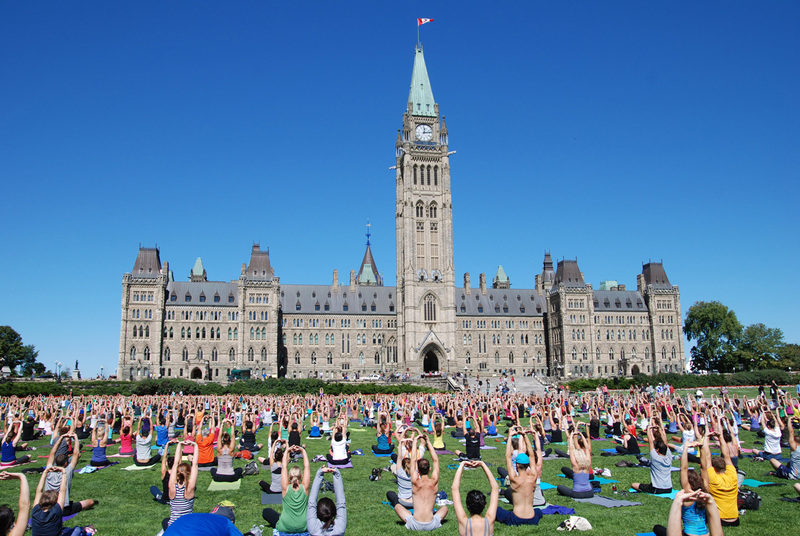 Prime Minister Justin Trudeau has been known to pop by Yoga on Parliament Hill and every Wednesday from May to August people gather on the Hill for mass yoga classes. It's a free session sponsored by Canadian owned yoga brand Lululemon Athletica. 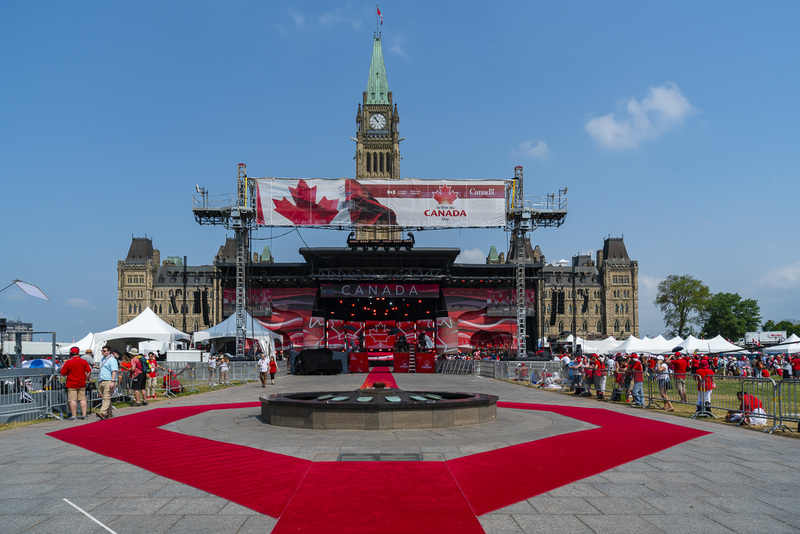 During the Canada Day Celebrations that we were in Ottawa, classes were halted, but when we go back, we'll be sure to join in! Speaking of the Aviation Museum, this is an excellent museum for aviation and history buffs. There is a huge display of vintage planes and artifacts dating back to 1909. 130 aircrafts propellers and engines are on display including military jets, WWII fighter biplanes, helicopters, one of the first planes invented and much more. You can even take part in flight simulations or book helicopter tours and your own biplane flight like we did above. 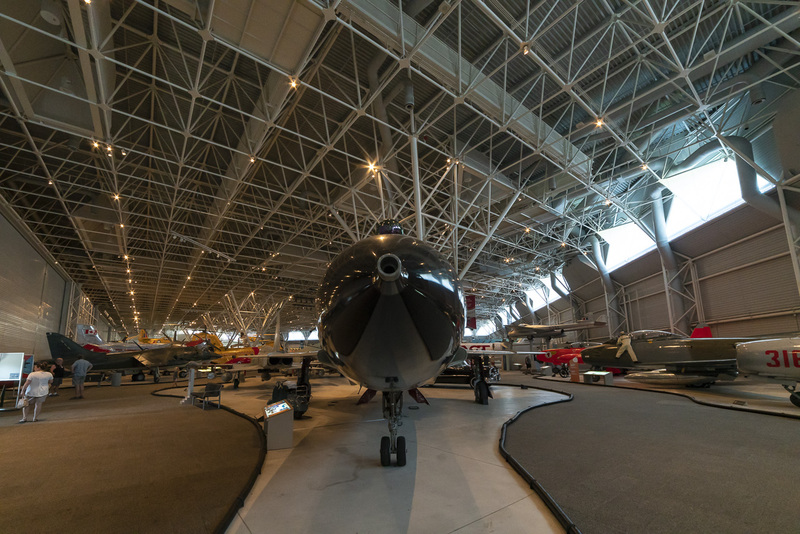 It is considered one of the finest aviation museums on earth and highly worth a visit - the Aviation Museum for Details - You will also find information on the Agriculture and Food Museum and the Science and Technology Museum. The National Gallery of Canada is a striking structure housing an extensive collection of Canadian art. It is the giant spider out front that attracts people's attention. 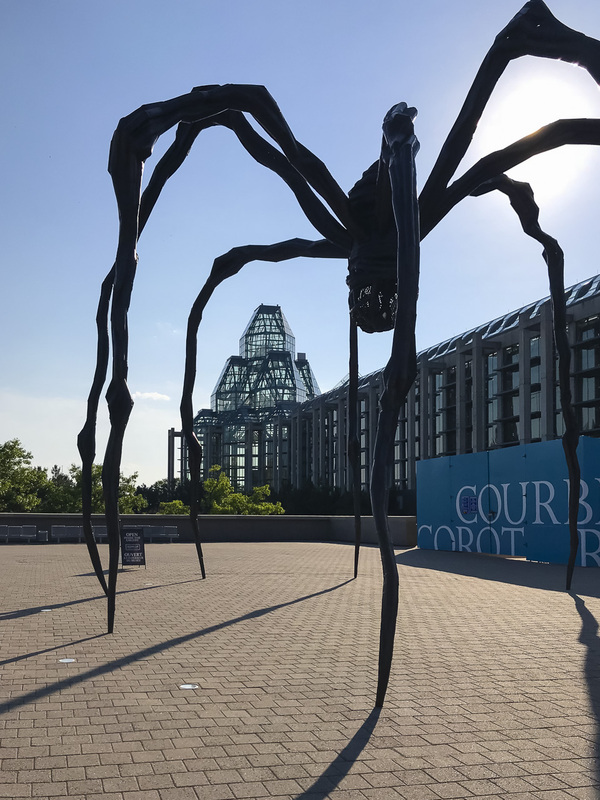 Maman is a famous sculpture designed by Louise Bourgeois and Ottawa isn't the only city to have one. If you travel a lot, you might have seen it at the Tate Modern Art Museum in London England in Missouri, USA, St. Petersburg, Bilboa, Tokyo, Seoul, Doha and Des Moines. 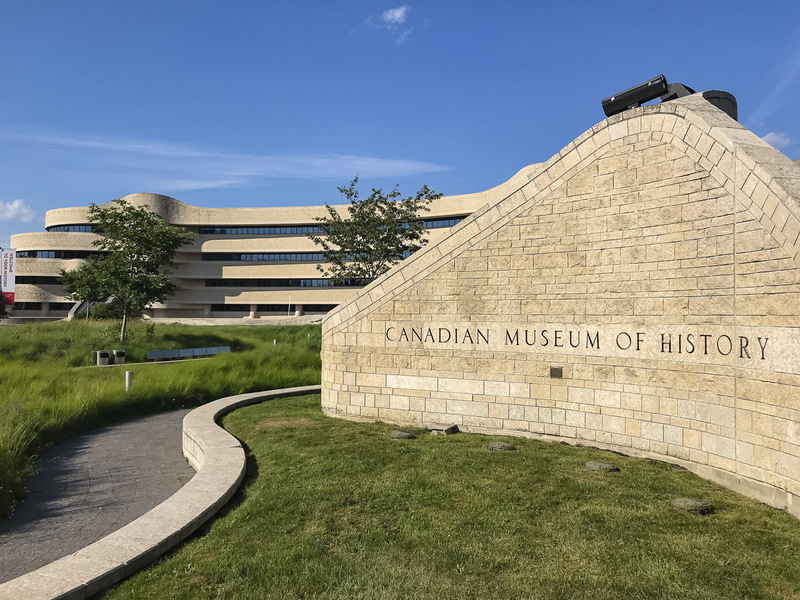 The Canadian Museum of History focuses on the history of Canada. From the First People's Hall celebrating the history of the First Nation's to The Canadian History Hall showcasing important and famous Canadian personalities. The architecture is unique represents the Canadian landscape and it a beautiful sight. From here, you'll find gorgeous views of the Ottawa Skyline and the Alexandra Bridge lit up at night. It's free and located on the main floor of the Fairmont Chateau Laurier. Enter the grand hall of the famous Chateau Laurier walk past the boutiques and into a hall filled with photos documenting the history of the property and the city. Winston Churchill frequented the Chateau Laurier. It even has a Titanic connection. Charles Melville Hays was in charge of the railway expansion in Canada and had a hand in hiring the designers for the hotel. The Chateau was the flagship hotel of many more to come along the railway line. Excited to get back for the opening of the Chateau Laurier he boarded the Titanic where he met his fate on that dreaded night and never saw his dream come to fruition. You can find a memorial of his downstairs beside the entrance to the swimming pool. There are many more museums in Ottawa that warrant their own blog post. 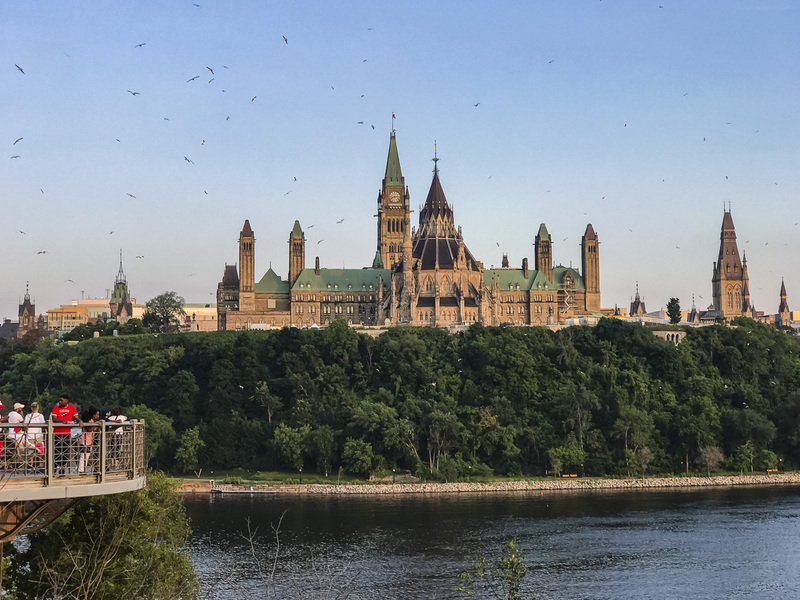 From the Canada Science and Technology Museum to the Cold War Museum, you can keep occupied for days in Canada's capital city. Check out Ottawa Tourism for the complete list. Rideau Hall is a national historic site that is home to one of the most important figures in the Canadian Government. The Governor-General. 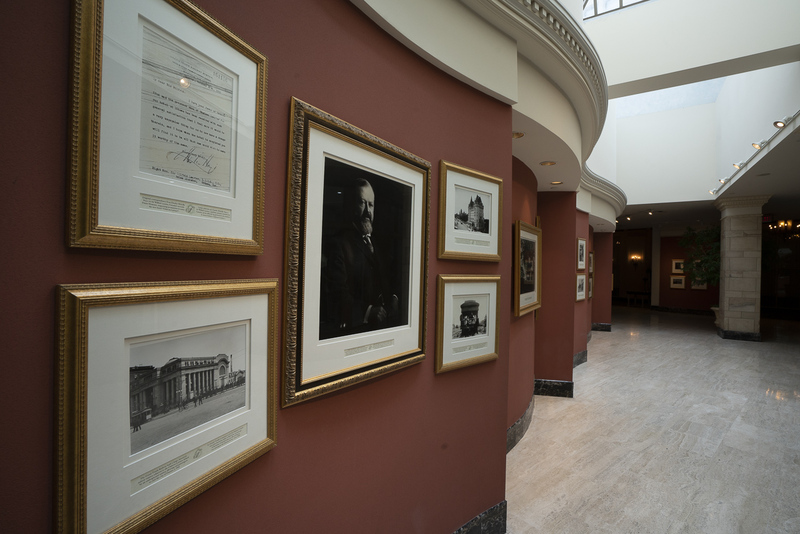 Group and private tours are offered daily to explore the quarters of our Governor General. The Governor General of Canada does the same duties that the Queen of England does. Our current Governor General, Her Excellency the Right Honourable Julie Payette currently resides there and visitors have a chance to tour a portion of her residence and the official halls used for ceremonies and meetings. 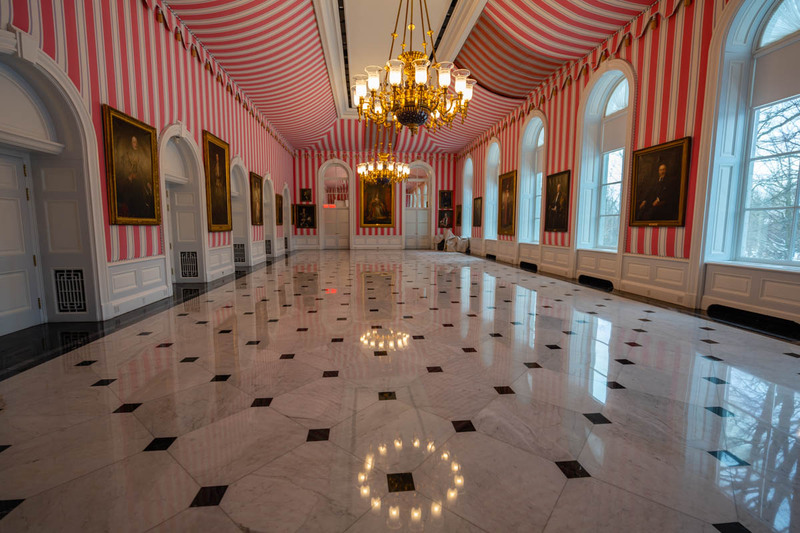 The tour takes you through the facade that has welcomed dignitaries for decades, a room filled with those who have been awarded the order of Canada and other rooms that have been used for televised addresses to the people and the impressive tent room and ball rooms. This is definitely one of the most interesting things to see in Ottawa. 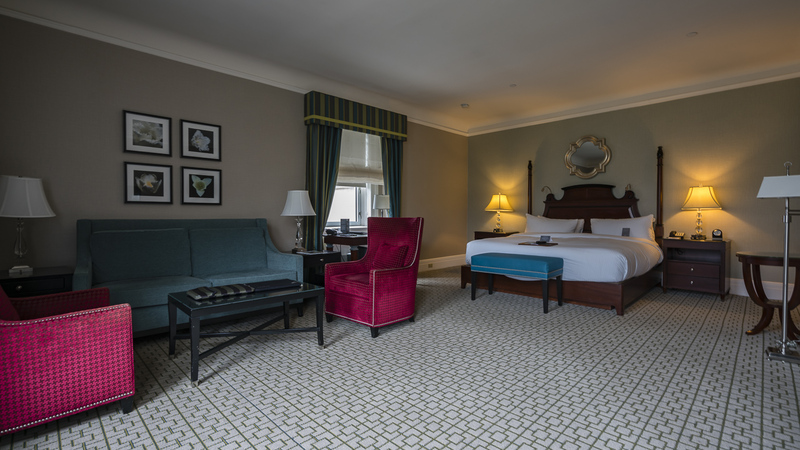 There is no comparison to staying anywhere but the Fairmont Chateau Laurier. It's welcomed royalty, celebrities and world leaders to its historic chambers. 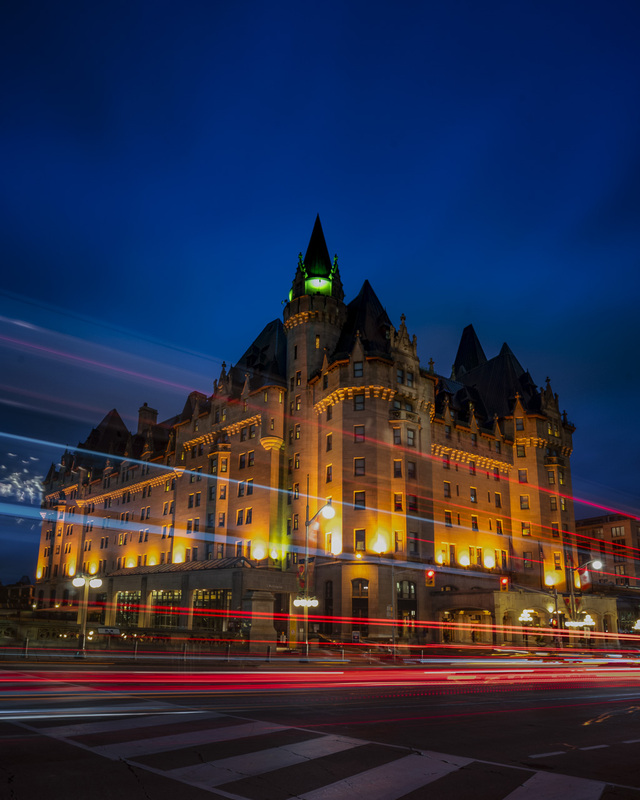 Built in 1912, the Fairmont Chateau Laurier is one of Canada's most famous landmarks. Located directly on the Rideau Canal, it has the best views in the city and is centrally located to nearly every major site. The ByWard Market is a 5-minute walk one way and the Parliament buildings are a 5-minute walk the other. It is in the middle of a renovation so rooms will be updated soon, but they are in good shape for a historic Fairmont resort and staying here will make you feel like a king (or queen0. When visiting Ottawa, take some time to get out of town and spend a day at the quiet retreat of the Nordik Spa-Nature. 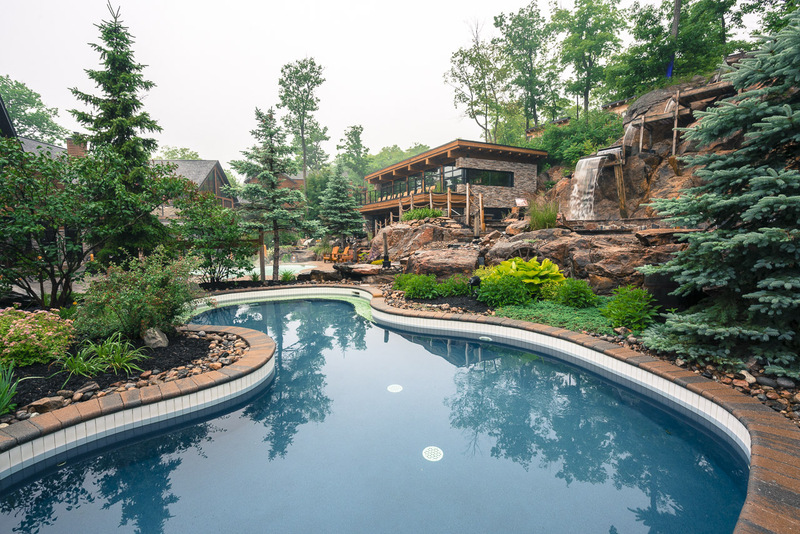 Located 20 minutes from Ottawa, in Gatineau Quebec, Nordik Spa tops the things to do near Ottawa. 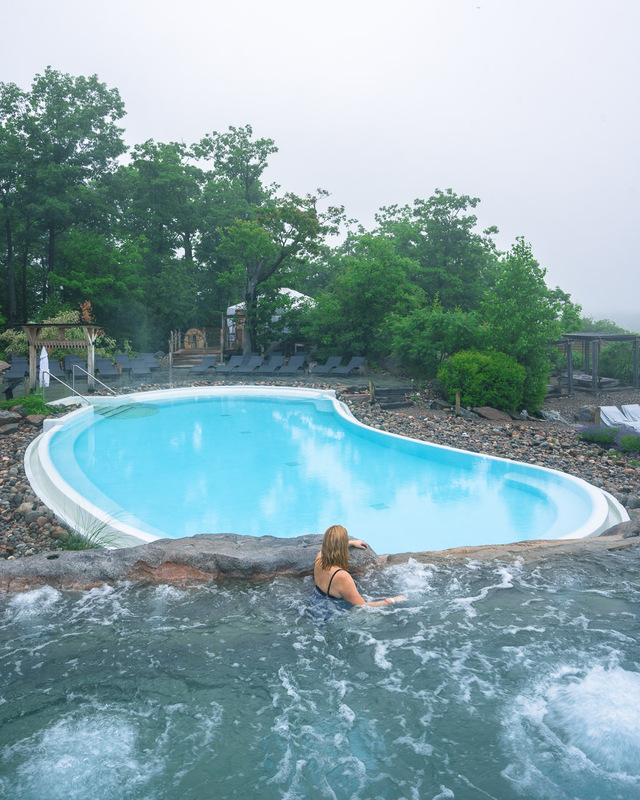 It is a unique spa experience surrounded by nature. With an infinity pool and floating salt pool with the same sodium density of the Dead Sea, Nordik Spa will melt away the stress and aches from travel. The Källa Treatment (Saltwater Pool) was a highlight for us as we spent 40 minutes floating in serenity feeling the weight of zero gravity. It's equivalent to several hours of sleep! Nordik Spa-Nature is planning a hotel on premises in the future and I would highly recommend a night there after your day at the spa. 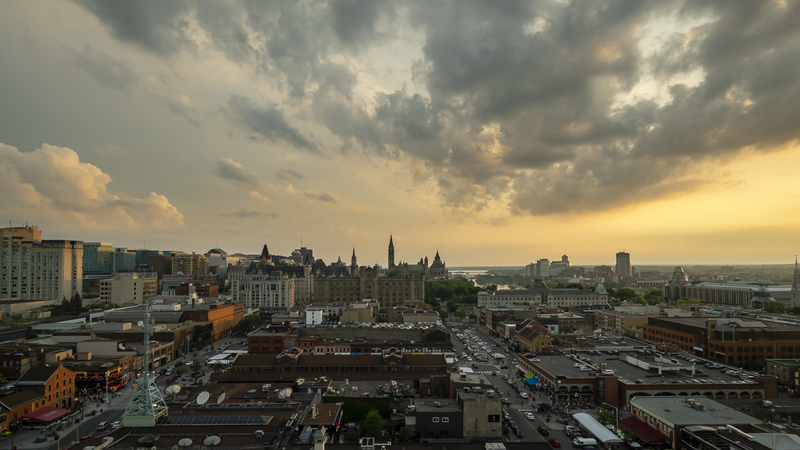 People are always looking for the best views when visiting a city and the Andaz Hotel in the ByWard Market has one of the best sunset views in Ottawa. Out of all the hotels in Ottawa, this one got its sunset terrace right. Try one of their signature cocktails and enjoy the view over the ByWard Market from their floor to ceiling windows indoors or from the outdoor patio. You can order finger foods and start your night off right in the heart of Ottawa's entrainment district. We highly recommend the cheese plate. Visit The Hyatt Andaz for reservations and information. 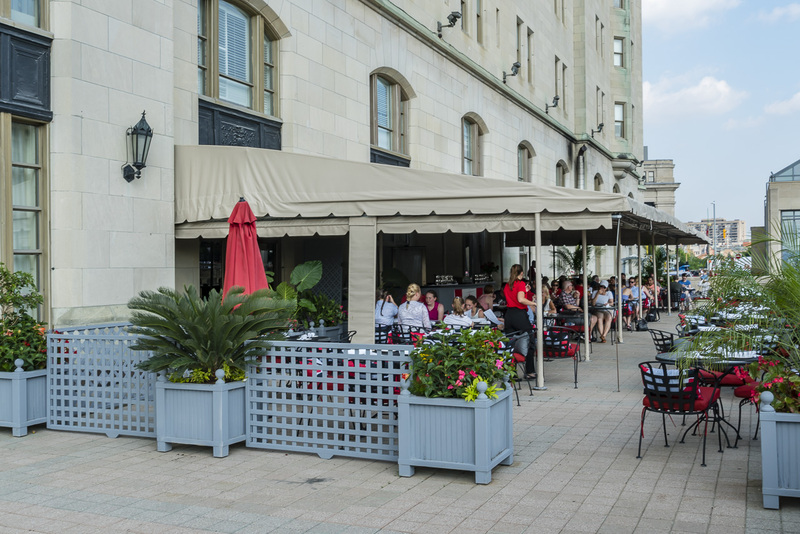 La Terrasse is located inside the Chateau Laurier and overlooks the locks of the Rideau Canal. It offers a stunning view of the Parliament Buildings, the canal and Ottawa River. You can enjoy cocktails, patio food, and a pleasant atmosphere. This shaded patio is another excellent spot to watch the sunset. This park on the river houses Muskoka Chairs overlooking the water to view the unique and picturesque John Ceprano Rocks. Artist, John Ceprano works on his display throughouth the summer and is a very friendly guy. He's happy to talk with you and share his vision for all the world to post on Instagram. It was closed off during our latest visit to Ottawa due to the fireworks display being set up on the hill, but this park is famous for its gorgeous view of the Ottawa Skyline and the Alexandra Bridge reaching over the Ottawa River. 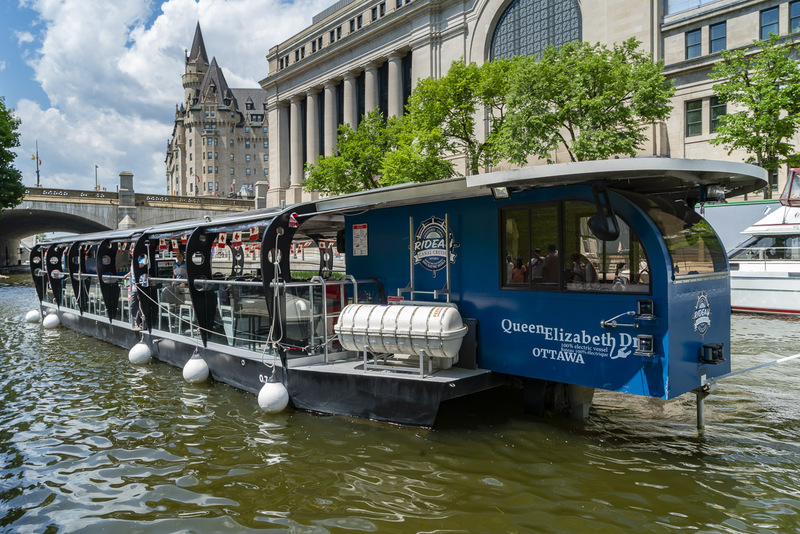 An entertaining way to learn about the history of the Rideau Canal is to take a Canal Cruise from Chateau Laurier to Dow's Lake. Our guide was hilarious keeping us entertained with his bilingual commentary of the building of the canal in 1812 to the highlights of the city of Ottawa. The tours last about an hour and a half and pass landmarks such as City Hall, National Arts Centre, Canadian Museum of Nature, the TD Centre and Lansdowne Park. It's on every list of things to do in Ottawa that you'll find on the Internet and with good reason. 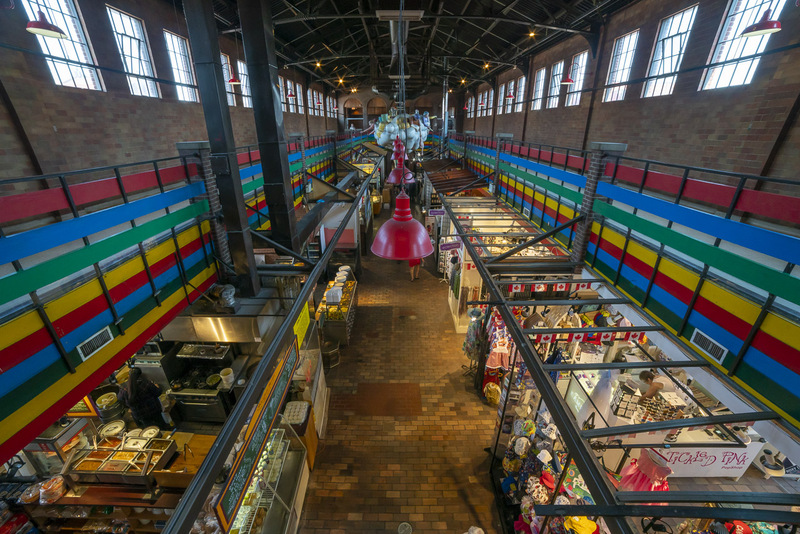 The Byward Market is one of Canada's oldest public markets dating back to 1826. It was started by Lt-Col. John By who helped build the Rideau Canal. The ByWard Market is a bustling place by day and night with shops restaurants and boutiques. It's a great spot for people watching, patios and shopping with more than 600 establishments stuffed within four square blocks. The Ottawa sign is another popular Instagram spot in Ottawa. 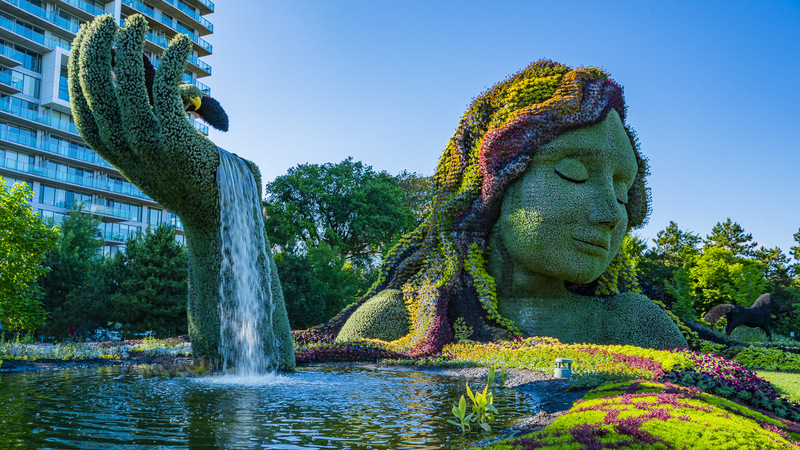 Mosaiculture caught our eye when searching photographs of Ottawa in Summer. This spectacular display of 48 massive floral sculptures will inspire and awe. The most famous is a woman's face whose hand is a cascading waterfall with a bird drinking from the bath. But there are many other sculptures portraying Canadian culture, and nature. Located on the banks of Gatineau, it is a wonderful stop to spend a couple of hours taking in the artistry and design. 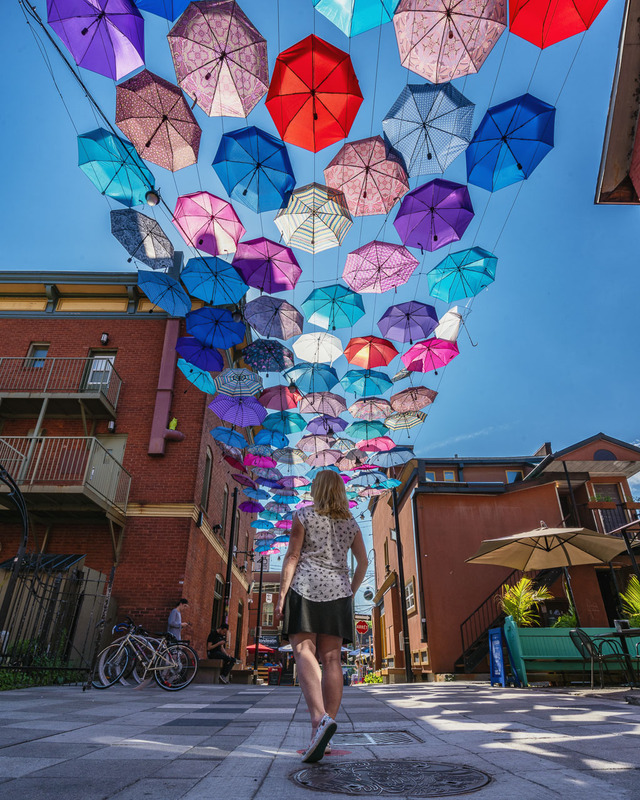 Today it has been transformed into a trendy street filled with patios and even an art installation of colourful umbrellas hanging from the buildings. 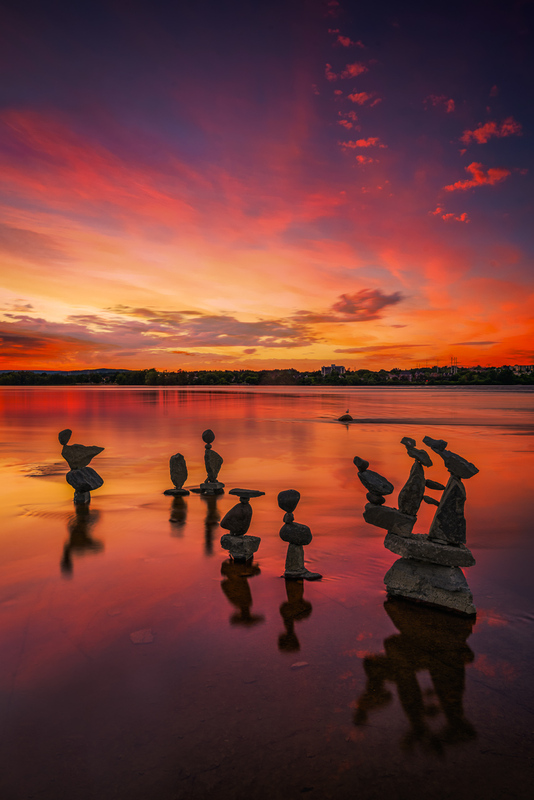 A favourite place for sunset in Ottawa is just out of town on the river overlooking the rock sculptures designed by John Ceprano. Each day he is out in the water creating works of art that make for a unique scene in the middle of the water. The area is roped off so people don't destroy his work, but Muskoka Chairs are set up on the hill for viewing and you can cycle, walk or just relax along the boardwalk. Voted as one of the best restaurants in Canada by enRoute Magazine, the Riviera Restaurant is the place to eat! A popular eatery for politicians, it is located on Sparks Street, Ottawa's pedestrian street across from Parliament Hill. It's known for its signature cocktails and we all made sure to have a round of these works of art. From Mint Juleps to Manhattan, they've got it all. The menu is right up our alley with tuna tartar, burrata, and tomato salad. 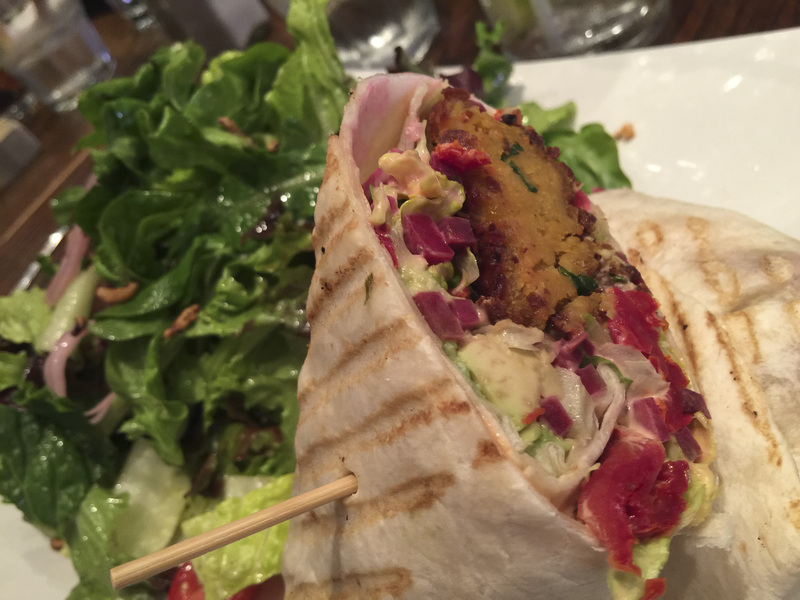 The menu changes daily, but there are plenty of choices for vegetarians and pescatarians as well as full-on meat eaters. Owned and operated by my college roommate's brother, Whales Bone has made quite a name for itself in Ottawa. With two locations, it's a popular spot for locals. Known for its oysters, it didn't disappoint. 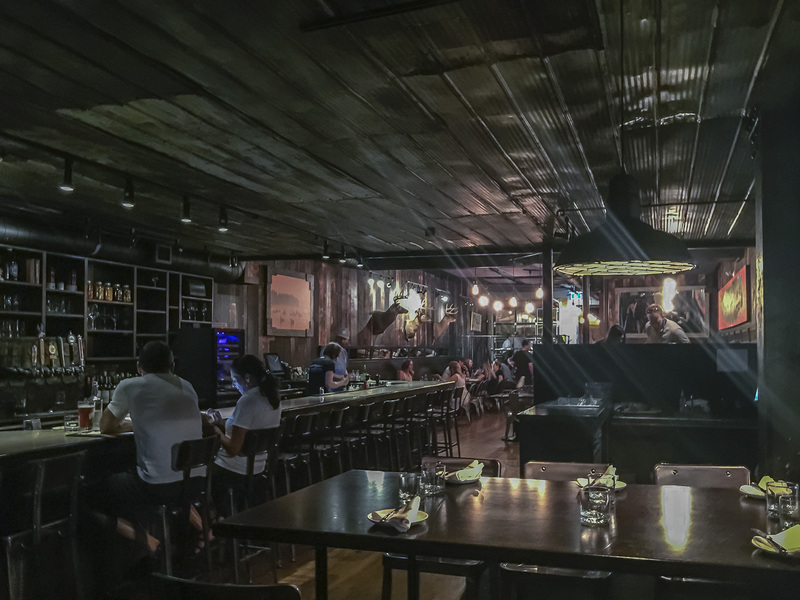 The food is high end and delicious, but the atmosphere is laidback and chic. 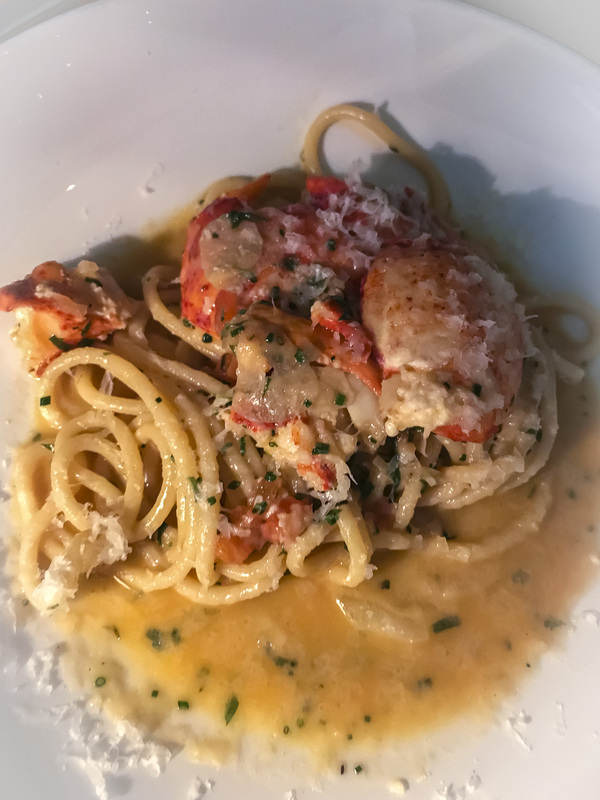 You'll have a fabulous experience eating outstanding food while feeling relaxed and comfortable with the friendly staff. Located on Bank Street and Elgin Street, this place is a must for seafood lovers. Wilfred's in the Fairmont Chateau Laurier has long been considered the best restaurant in Ottawa. We had breakfast every day at Wilfred's and it was outstanding. Be sure to order eggs of your choice from Chef Jimmy! He's a character. The newly renovated Zoe's is a more relaxed atmosphere in a stylish setting. 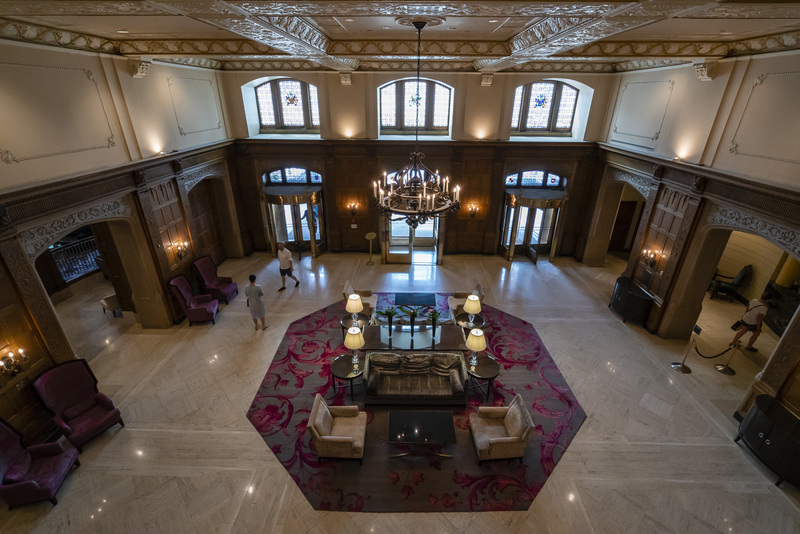 Located just off the lobby inside the grand Chateau Laurier, you feel as if you've stepped into another building. It's still grand and elegant with crown moulding and high ceilings, but it has stepped effortlessly into the 21st century. Did you know Ottawa has its own waterfalls? I cannot tell you how many times we've visited the city and I didn't know about these falls. They aren't exactly huge, but they are picturesque. The Rideau Falls are where the Rideau River empties into the Ottawa River and you can take in the view on the patio of Tavern on the Falls. 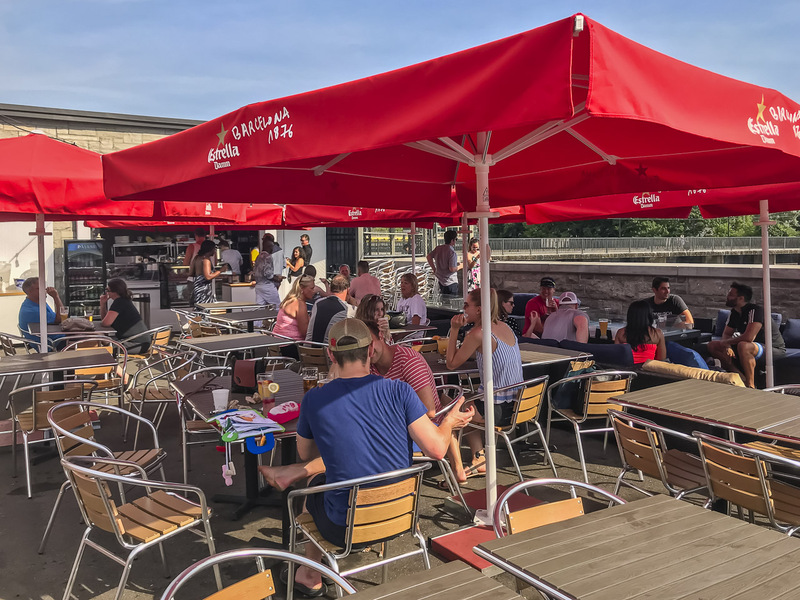 Famous for its gourmet hot dogs, Tavern on the Falls is a nice escape from the city where you can enjoy a beer and hot dog or even a glass of bubbly while taking in the waterfront views. The Brig Pub is an excellent escape in the ByWard Market with a very cool patio in the back. The patio is so hidden you won't even know it's there. It has an extensive menu of pub food, but it also goes beyond the pub offering delicious choices like Fish Tacos, mac and blue cheese, duck confit poutine and falafel and avocado wraps. Yum! 29. Bike or walk along the Canal. There are plenty of walking trails in Ottawa along the Rideau Canal and the Ottawa River. Each path is pedestrian friendly taking you on a stroll through history and beauty. New York has the Brooklyn Bridge that is pedestrian friendly, well Ottawa has the Alexandra Bridge. It's a beautiful walk with a designated pedestrian and cycling path spanning from Ottawa to Gatineau. It links the National Gallery of Ottawa to the Canadian Museum of History in Gatineau offering excellent skyline views as you cross the river. 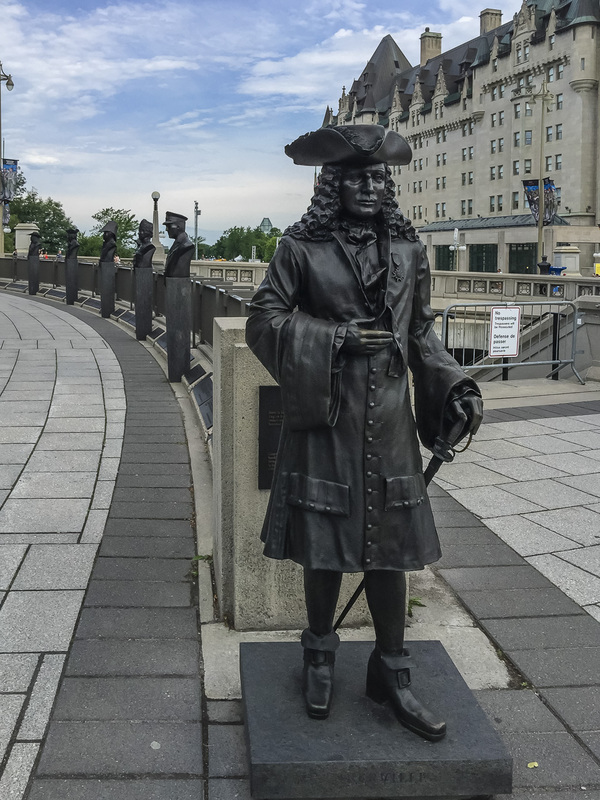 Like most capital cities around the world, Ottawa has a lot of monuments commemorating Canadian history. The Peacekeeping Monument, and the Oscar Peterson Statue. Keep an eye out for the many festivals that happen in Ottawa throughout the year. Our top recommendations are the Jazz Festival, the Tulip Festival and of course the most famous being Winterlude happening in Winter. It's a Canadian Right of passage to make a pilgrimage to Ottawa for Canada Day. The Festivities take place on Parliament Hill and there is entertainment, water stations, and festivities all week long! 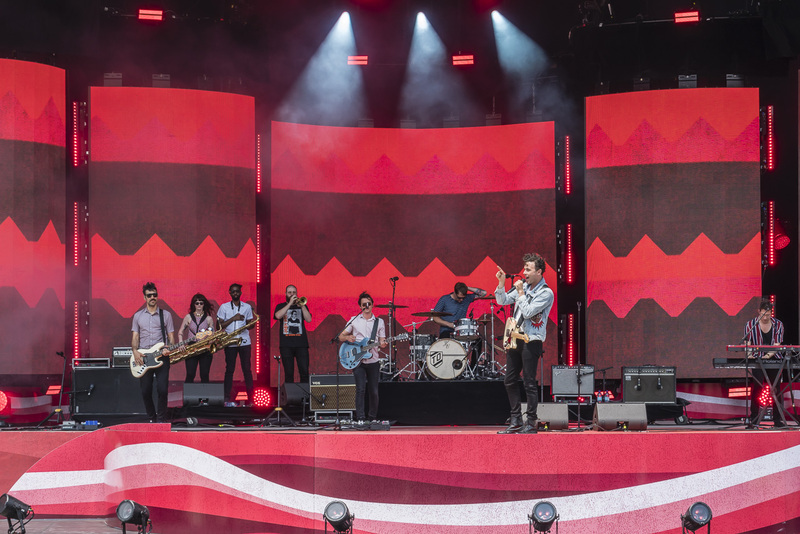 The famous Canadian Snowbirds make appearances throughout the day and a mix of Canadian talent takes to the stage celebrating diversity and inclusion. I don't think there is a better place to feel an enormous sense of joy than here in Ottawa on Canada Day. 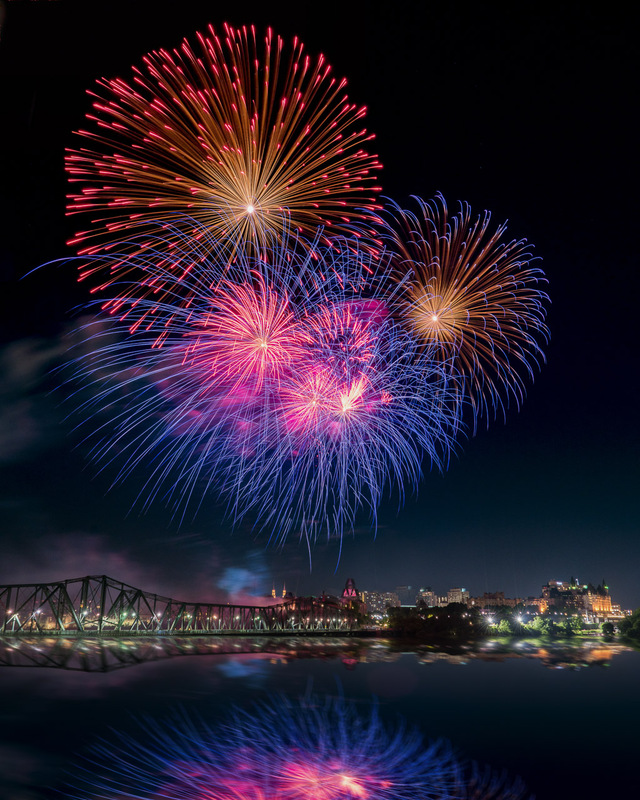 Canadians share a diverse landscape, culture and community in harmony, and nowhere is it showcased better than in Ottawa on Canada's birthday. Direct flights from downtown Toronto Billy Bishop Airport to Ottawa happen daily on Porter Airlines. Or you can do what we often do, take the 5-hour drive along the 401 to the Ottawa cutoff. When visiting Canada, make sure to include Ottawa on your itinerary. It is one of Canada's coolest cities offering culture, nature, luxury and adventure to people from around the world. Ottawa is welcoming and friendly and it's bilingual. Most people will flip effortlessly through French and English and you never know, you just may run into our Prime Minister. He hangs out a lot around these parts. 6 Responses to "33 Things to do in Ottawa – A Complete Guide to Canada’s Capital City"
Love this guide to Ottawa! We have added some things to our list to do when we visit again. Nice will defintely try some. By the way uber do operate in Gatineau (not all areas) but not lyft at all. This city was really a great spot to visit, the tourist will surely enjoy everything that the Ottawa city can offer. Nice post. Thanks for sharing pictures and location. All images are Awesome. Great post the content is good especially I love the way you portray the images. it’s like they say come to visit Ottawa. content is great.